Getting older and wiser while watching the awe-inspiring growth of your family and friends, knowing you have lived a full life, is a gift not all of us are able to appreciate. For those lucky enough to see past retirement, becoming older brings about a host of new life perspectives, concerns, and needs. Often, many of these new challenges are related to health problems which naturally increase in frequency as we age. Because of these trends, it can be very helpful for the elderly to either receive in-home care or to be transferred into an assisted living residence once their health problems become too complicated to take care of themselves or with the help of family. These services and facilities can help the elderly maintain their normal schedules, stay healthy, and live longer, albeit catering to different sorts of clients. How can you decide whether assisted living or in-home care is the right solution for you and your family? Assisted Living facilities sometimes receive bad press in the media as depressing homes or communities where people go to spend their last days. In fact, there are a variety off available assisted living facilities that offer different levels of services depending on the needs of their clients. Assisted living homes are great for the elderly who have intensive, daily medical needs and that should be under constant supervision or who are extremely restricted in their possible activities or movements because of their state of health. These facilities usually have a nurse on call at all times and can easily schedule medical appointments with specialists for more serious concerns. By always having at least one set of watchful eyes around, assisted living facilities can make you and your family feel safer about the well-being of your elderly loved one. Assisted living facilities are also great for combating the loneliness that can often accompany old age. By gathering many people together who face the same sorts of daily challenges and tend to enjoy similar forms of socializing and enjoyment, assisted living facilities provide a welcoming community to the elderly that they are unlikely to get elsewhere. This socialization has been shown to improve the elderly’s psychological state and resultantly their health. In addition, a serious concern for a majority of the elderly is the significant cost of medical and daily care. Because of the grouping of resources, assisted living facilities are actually usually cheaper than hiring full-time in-home staff with the bonus of offering a welcoming community. In-home care usually entails working with an agency to find a suitable nurse or caregiver to come to your home for an agreed upon number of hours every week. For people who only need help sparingly or a few times a week to clean up the home or make sure that the bills are paid and other household necessities are taken care of, hiring an in-home aide is probably the best option. Nurses can also be scheduled to visit the home as frequently as necessary to help maintain health and administer medications. Unfortunately, because such hired help is normally paid by the hour, using intensive in-home care can be more expensive than simply transferring to an assisted living facility. For pricing information, see SeniorHousingNet.com. Receiving in-home assistance may not be the best choice for those seniors who have little contact with their peers or whose family lives far away. 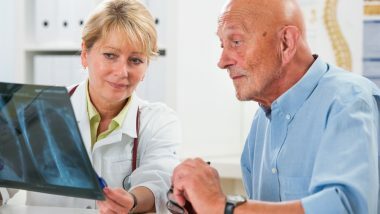 In these cases, its possible that the elderly person’s lack of socialization may actually be making him/her more sick and moving into an assisted living facility may be a better idea. If in-home care is an option, it can also be beneficial to make the home as comfortable as possible for the elderly. Home improvements that make it easier to get up and down stairs, reach an emergency number, or automatically shut off electricity and gas can transform a home into the perfect, personal care-giving facility. Companies like Encasa Experts can remove much of the hassle of organization by helping you find in-home care and install home improvements. Deciding how to live best in old age is a difficult decision complicated by factors like medical needs and budget concerns. Understanding your needs will help you identify which type of elderly care is best for you and your loved ones.